We already knew that it is possible nowadays to find tablets at ridiculously low prices (such as this $42 tablet) but if you are looking for something slightly larger, you might like to know that you can also get 10.1" tablets for just $80. 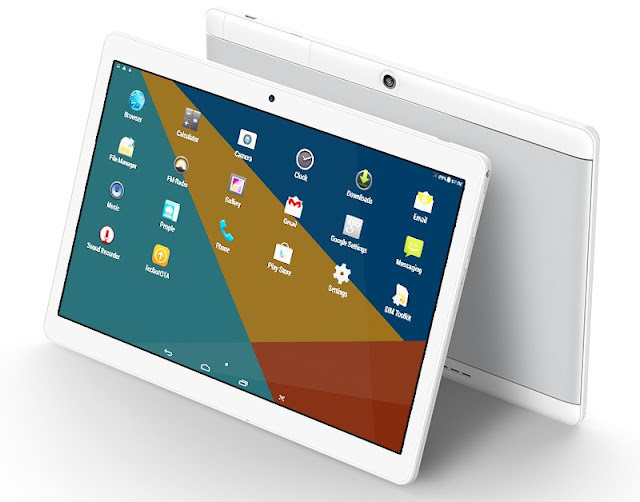 The Teclast X10 3G is a tablet with an 10.1" IPS LCD screen (1280x800) and comes with a quad-core MTK6580, 1GB RAM, 16GB eMMC + microSD up to 64GB, 5MP and 2MP cameras, 4900mAh battery and Android 6.0. This is far from being the most powerful tablet on the market, but it is more than adequate for many applications - whether to be used just as an interface for home controlo, displaying the weather and the latest news, or simply be used as a digital photo frame. After all, we're talking about a tablet that is available for just $80. Another unusual detail on such a cheap tablet is that it also comes with 3G and 2G connectivity. So, you can not only use it away from a WiFi hotspot, but even use it as a failsafe should you be using it for home control and need it to send a notification in case of power loss or no internet access. We usually say that the Raspberry Pi is an ultra-low-cost computer; but if we are to add up the cost of a case, the power supply, a touchscreen, cameras, and everything else we have in a tablet like this... there is no doubt that these machines are the real "low-cost" champions (ok, let's not mention those $42 tablets again).